If you aren't starting your day with a positive outlook and a bit of zing in your step, you must not be using Zest Bath Soap. 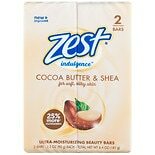 Zest users love the get-up-and-go feeling they get with every bath or shower. Plus, this uplifting sensation lasts all day. 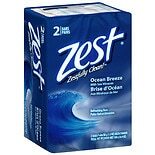 Zest Bath Soap is a pH balanced deodorant soap that promises to leave nothing on your skin but a "Zestfully Clean" feeling. Why Use Zest Bath Soap? Generations of families have been using Zest Bath Soap for its lively, crisp scent and clean, fresh feeling. 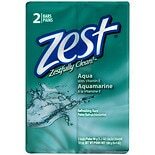 Zest lathers like soap should, but unlike most soaps, it rinses off without leaving any film or coating and is never drying to your skin. Made in the United States, Zest Bath Soap is carefully formulated with the safest ingredients, and you have several pleasing fragrances to choose from. With more than nine times the glycerin content than most soaps, Zest Bath Soap nurtures your skin, keeping it hydrated and smooth. And that's not all. Many types of Zest Bath Soap contain other skin-pampering ingredients, such as vitamin E, sea salt, shea and cocoa butter, almond oil, and aloe. All zest soaps are free of the antibacterial agent triclosan which some people prefer to avoid. High Ridge Brands recognizes that many low-income families are struggling just to put food on the table, and soap and personal cleaning products aren't always affordable. Because everyone deserves to start their day clean and confident, High Ridge has been working with the nonprofit, social organization, Family to Family, to donate and distribute personal cleaning products to families in need. High Ridge Brands has donated enough soap products to provide showers for three million deserving families. In addition, consumers can redeem specially-marked coupons to help furnish another two million showers.